Make sure you don’t miss any of those must have wedding shots, download our Wedding Photography Shot List and start planning your wedding photography. This list will give you some ideas of the types of shots normally taken at a ceremony. Your wedding photographer will probably take most of these photos but make sure you let them know which ones are the most important. 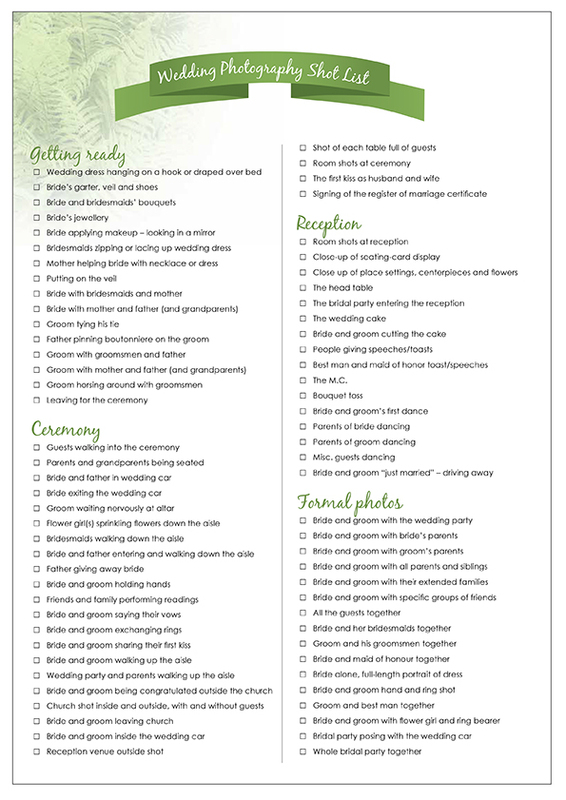 We also suggest giving your final list to a family member or guest on the wedding day to ensure know one is missed out. Download our Wedding Photography Shot List here.